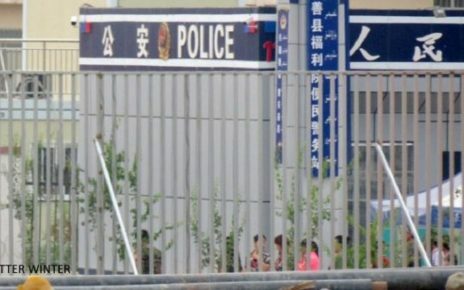 Ever since the new Regulations on Religious Affairs came into force in February 2018, the Chinese Communist Party (CCP) has placed the government-controlled Three-Self churches under stricter control, upping their surveillance and ID checks and purging the preaching staff. Authorities have also launched financial regulatory policies to obtain comprehensive control over church finances. 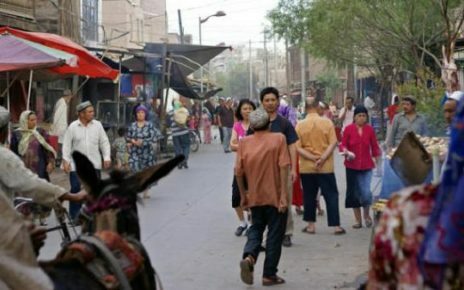 A source revealed to Bitter Winter that some Three-Self churches, in places like Shangzhi city in northeast Liaoning Province and Jalaid Banner in the Hinggan League of Inner Mongolia, have opened bank accounts that are supervised by the National Security Brigade and the Religious Affairs Bureau. 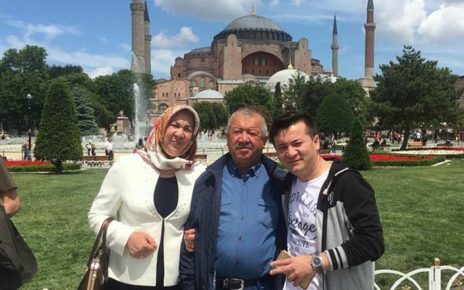 The alleged reason for this government-takeover of money, according to personnel from the Religious Affairs Bureau of Jalaid Banner, is to prevent any people from taking the church money abroad. Now, whenever anyone withdraws money from the church offerings, the Religious Affairs Bureau will know about it. This, naturally, upsets believers. As one church member, who wished to remain anonymous, said that CCP officials are extremely greedy and corrupt, and that putting the church money in their hands is less secure. And that greedy corruption is evidenced by demands of local governments for Christians to make offerings – to fill up these government-controlled bank accounts. 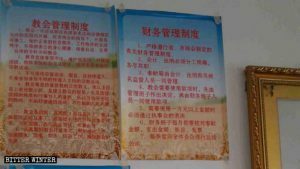 Bitter Winter obtained a document issued by the Committee of the Three-Self Patriotic Movement (TSPM) of Protestant Churches in Linzi district on August 15, 2018, that designates August 19 as the “donation Sunday” and encourages Christians to make offerings on that day. The document demands that every Three-Self churches’ meeting venue launch this program, initiated by the Zibo Municipal Two Christian Councils – the China Christian Council (CCC) and the TSPM, the two organizations governing the registered Protestant churches in China. Such donation Sundays should be organized in August each year. 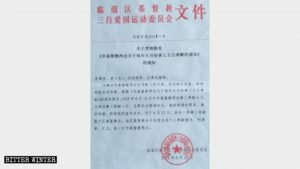 An implementation document of the “Notice on the Donation Sunday of the Municipal Two Christian Councils in August of Each Year,” issued by the Committee of the Three-Self Patriotic Movement in Linzi district. He also demanded that the names of church congregants – there are 1,300 believers at the Three-Self church that the source attends – be registered in order to keep better tabs on how much people are giving. Reportedly, authorities in eastern Shandong Province’s Zibo city have also designated August as the month of compulsory donations each year. The government’s forced levying of Christians’ donations has aroused strong dissatisfaction among church pastors and congregants.